We are proud to announce that Montecina at La Costa Homeowners Association has selected Tinnelly Law Group as their associations’ legal counsel. Montecina by Taylor Morrison is a brand new community of single family homes located within the La Costa Town Square development in Carlsbad. Residents will enjoy a community park, garden, and ocean views. 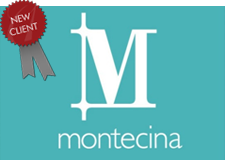 Our HOA attorneys and staff look forward to working with Montecina at La Costa’s Board and management.